March is a pretty exciting month here on LaurenConrad.com. If you read my editor’s letter, you’d know that it’s spring fashion month—meaning I have my trend alert antennae up even more than usual. I think of March fashion as slowly waving goodbye to winter and peeking around the corner hoping to see spring. 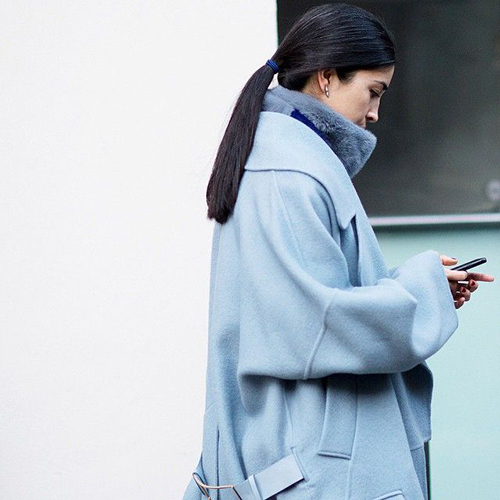 In a nutshell: Get ready to transition your wardrobes, ladies. Just as I said above, transitioning your style is a big part of dressing for this season. 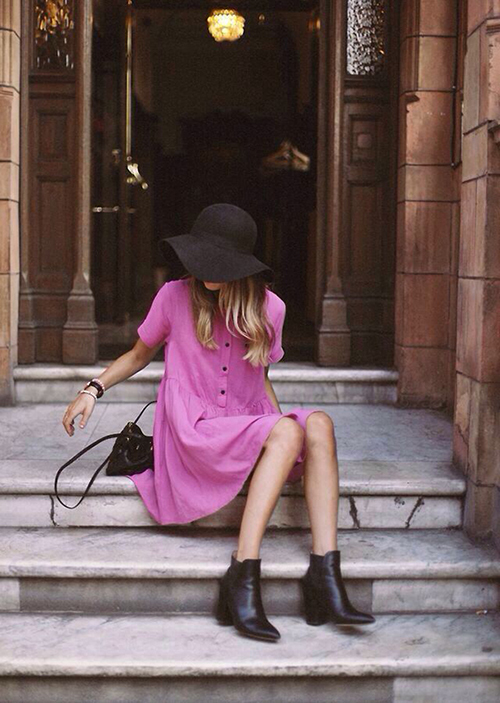 This pretty pink drop-waist dress screams spring, while the black booties and floppy hat are a nod to winter weather. If you’re wearing a look like this into the evening, don’t forget to add a peacoat or leather jacket. 2. Throw on a classic. 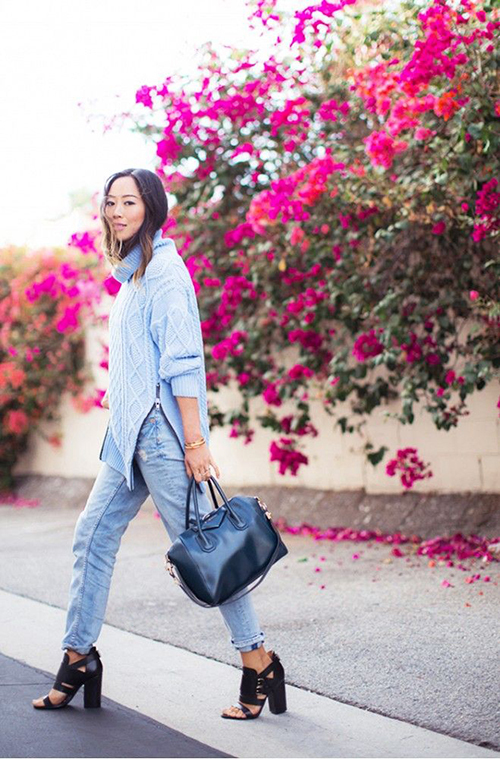 You can never go wrong with blue jeans and a white button-down. I repeat: never. I love the look of these ripped jeans for a lazy spring afternoon spent lounging around. This one goes out to all my working girls… Just because the weather might be bleak and rainy this month doesn’t mean you have to dress like it. Inject your work wear with a dose of unexpected color, like this peach-on-peach sweater and dress pant combo. I am well aware that, this time of year, some of you are still layering until you can’t layer anymore. Since the Northeast and Midwest are still freezing right now, get bundled up…in a fun color like blue, mint green, or pastel pink. I’ve said many times here on the site that I do not believe in the no white before Memorial Day rule. In fact, I love a good winter white and think that it should be incorporated even more frequently when the first signs of spring show. Take a note from above and pair white pants or a skirt with a rich-hued silky blouse. There’s something to be said about an ensemble that uses one color to create an overall tonal look. I love how Amiee Song is wearing three different shades of blue here…and the pink bougainvillea isn’t a bad backdrop, either. Spring showers are a real thing, no matter what part of the country you live in. So, make sure you’re rain-ready with a chic trench. Throw it over a cute dress, a jeans ensemble or even your work clothes. I love the way Sincerely Jules adds warmth to her outfit by throwing on a chunky knit over her pretty silky skirt. Just add booties! Fun, spring accessories can make a dull outfit come alive. Large sunnies, doubled-up statement necklaces, and pretty earrings will brighten your look right up. Peplums have long been one of my favorite trends. They’re so flattering on most people and the silhouette is so fun. Juxtapose a flirty peplum dress with a tough leather jacket this month. Which of these style ideas are you going to try first?